D.G. 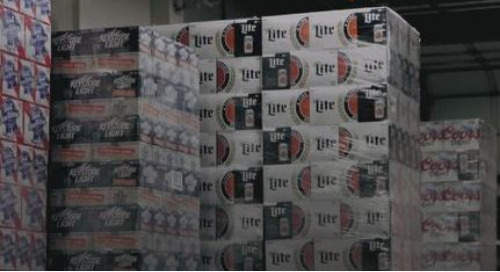 Yuengling & Son, America's oldest brewery, needed a cost-effective mileage reimbursement solution that allowed their sales reps to do what they do best, sell beer at an efficient rate. Find out how Yuengling sales reps were able to be more efficient in the field. 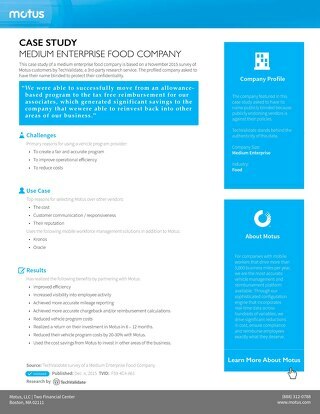 This case study features Amoskeag Beverages who was able to save $200,000 by eliminating manual mileage logs. 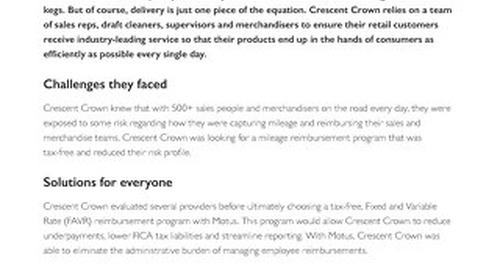 Learn how Crescent Crown eliminated administrative burden with personalized mileage reimbursement. The mobile workforce is changing every day. Don’t get left behind. 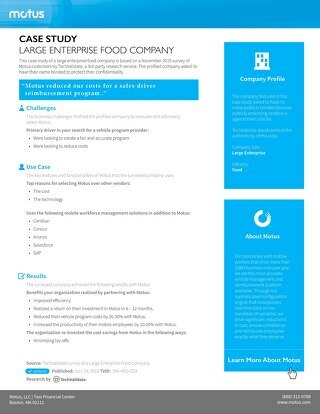 Distributors in the Food and Beverage industry face several challenges in their operations. New technologies in mobile workforce management may be the solution. 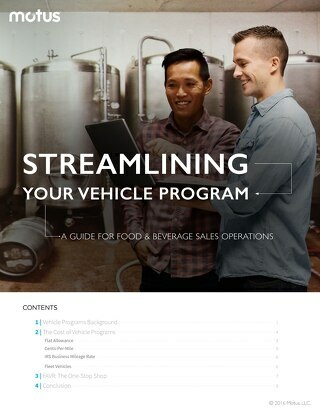 This guide explains how Food and Beverage companies can streamline their vehicle program to create efficiencies across their business. 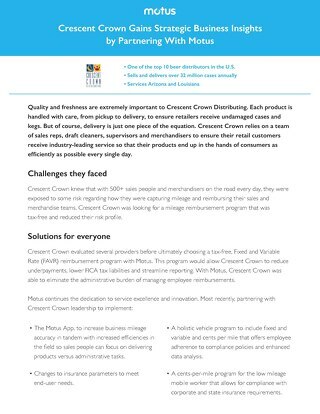 This case study shows how a food and beverage company drove down costs by switching from auto allowance program to a FAVR program. 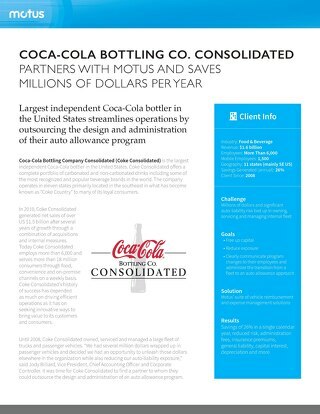 This case study features Coca-Cola Bottling Co. Consolidated who streamlined operations with a new vehicle program. 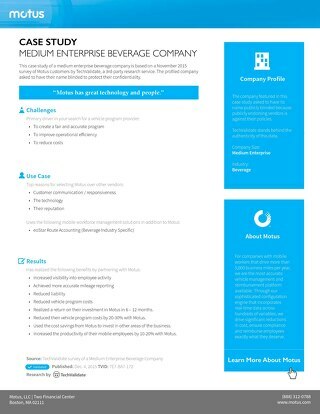 Reinvesting back into the business by partnering with Motus. 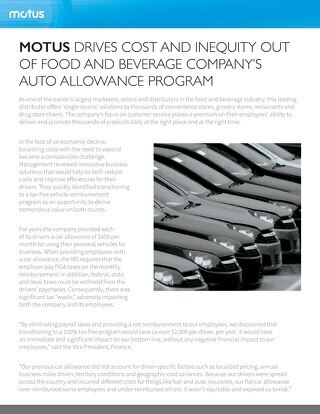 Creating a fair and accurate vehicle program by partnering with Motus. 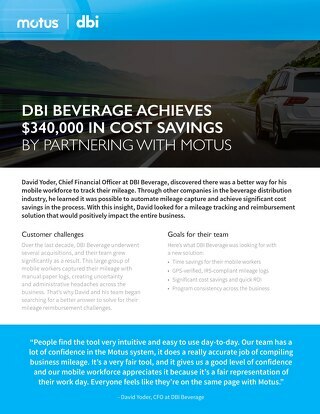 Building up the business by partnering with Motus. 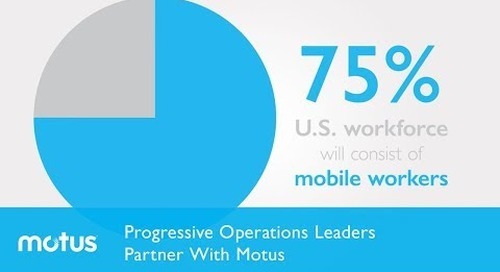 Video showcasing how progressive Operations leaders leverage Motus to boost productivity.